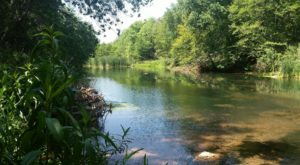 Sometimes it can be difficult to imagine what life must have been like for our ancestors. 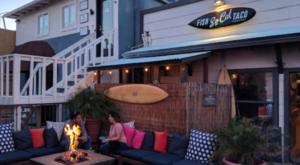 Time makes old lifestyles seem so far removed until you realize that it is just a few short generations separating you from a time when people were more in tune with their surroundings and life for most focused on basic subsistence. 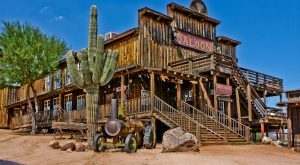 There is at least one place here in Arizona where you can find an example of that old way of living from the American settler perspective. 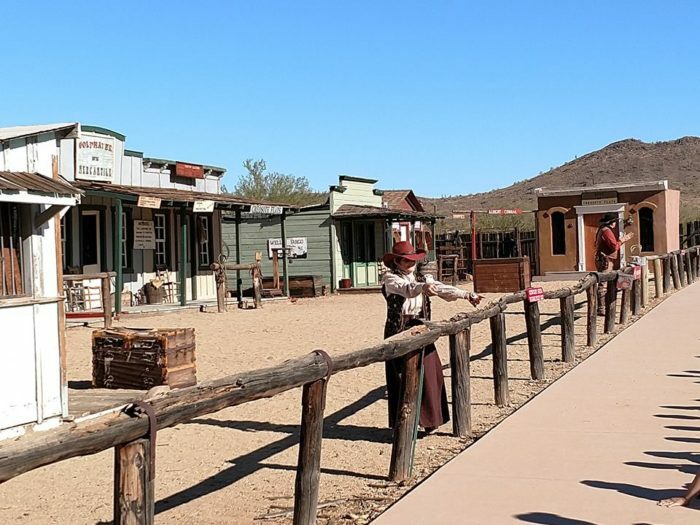 This is the Pioneer Living History Museum, an open-air museum located in far north Phoenix just off Interstate 17. 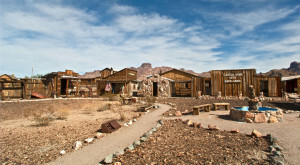 The museum has been operating since 1969, preserving a period of Arizona’s Territorial history. 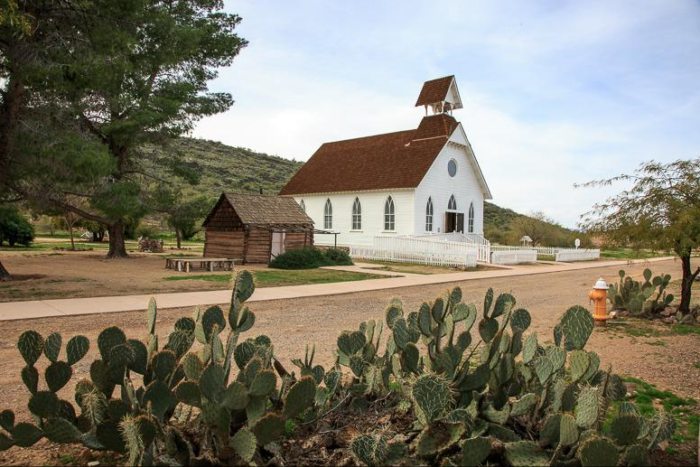 Popular with school tour groups, the museum offers visitors a look into the life of Arizona’s American settlers, specifically between 1870 and 1910. 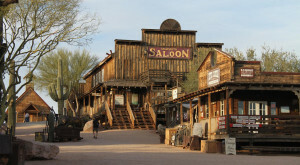 You’ll find what appears to be a little town with a variety of buildings and "populated" with characters from the era. Let’s take a look! Here, you’ll find a collection of original and reconstructed buildings, each acting as an exhibit that details life in those days. 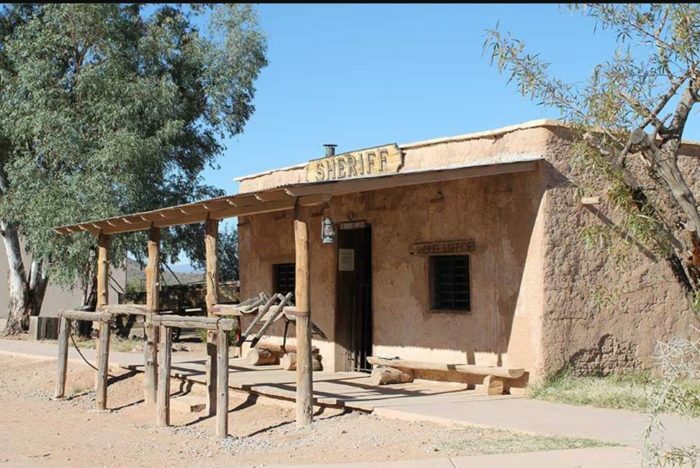 For example, the old sheriff’s office is a reconstruction of an 1881 adobe building that once stood in Globe. 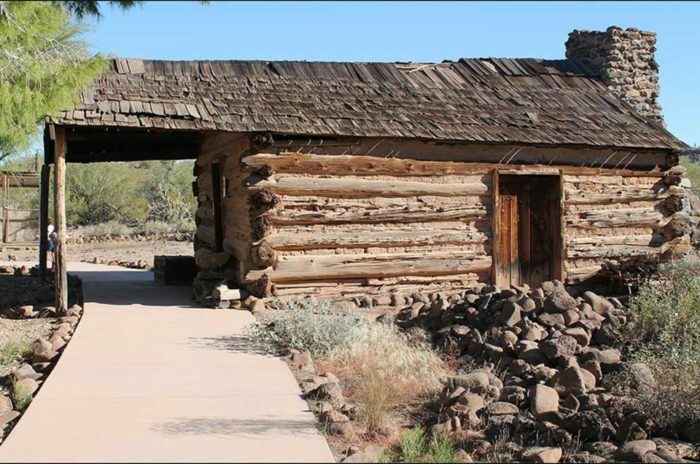 Others are original historic buildings, like this Williams cabin that dates to 1878. 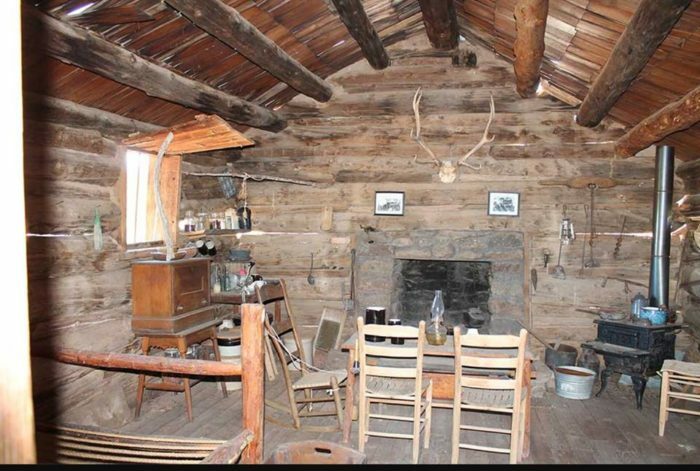 The cabin was the childhood home of Arizona senator Henry Ashurst and inside you’ll find an example of what the home may have looked like between 1878 and 1893. Inside each building exhibit is a peek of the inside world of the people who lived and worked here. You’ll find antique furniture, books, tools, and more to better illustrate life here. ...or a sheriff who acts as a lively character and guide for school visitors. 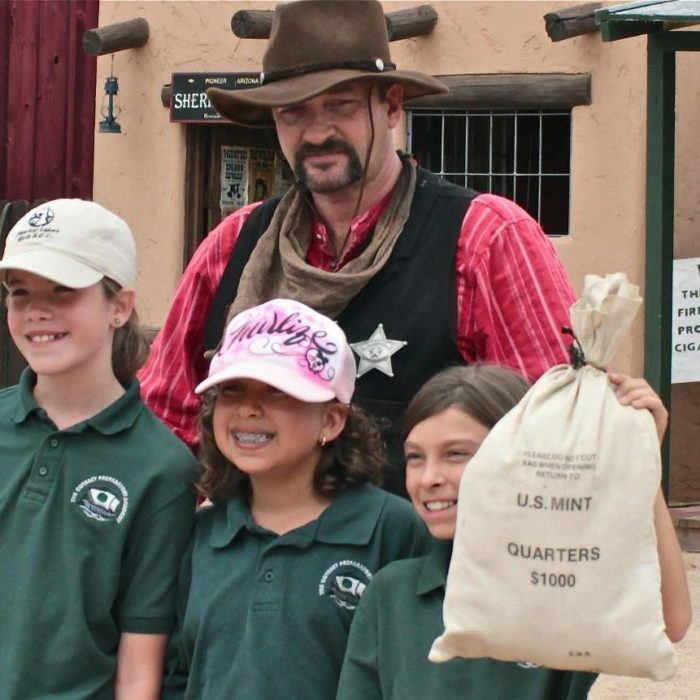 In addition to the exhibits and characters, visitors can also enjoy watching live re-enactments or take a turn at panning for gold. 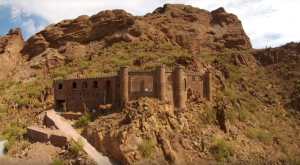 Are you ready to experience history at this museum? 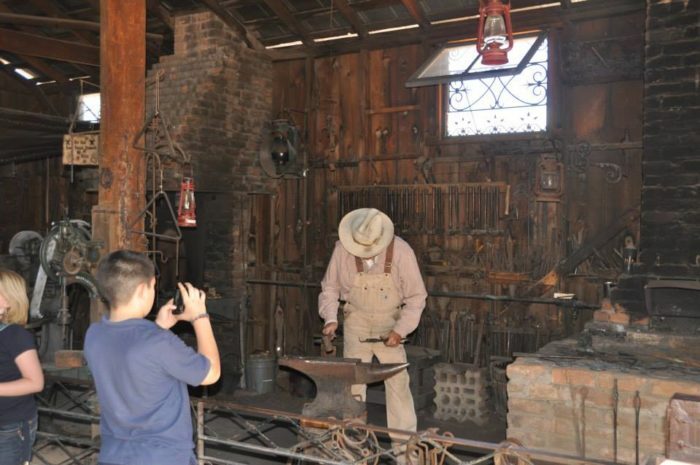 Pioneer Living History Museum is located at 3901 West Pioneer Road in Phoenix. 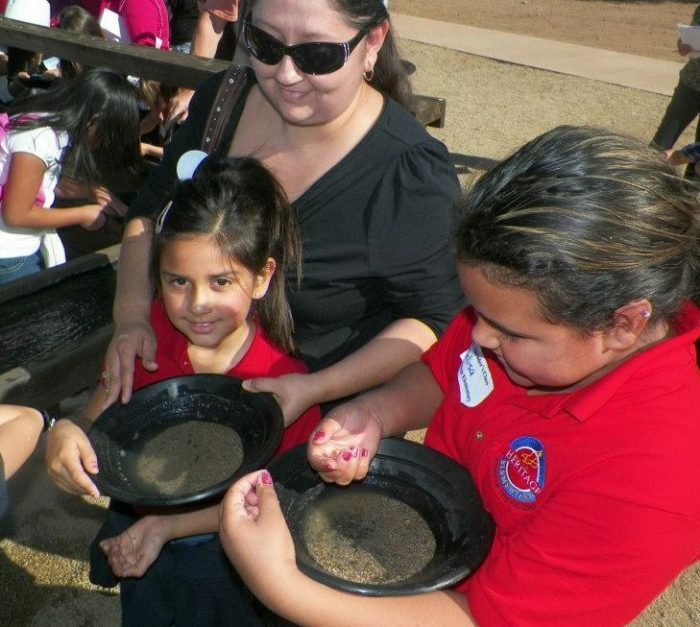 You can find information about the exhibits, booking a field trip, and more by visiting their website, pioneeraz.org. 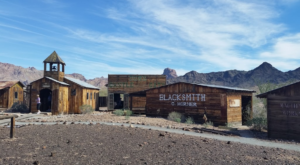 Want to read and discover more fascinating places that showcase a piece of the Old West? 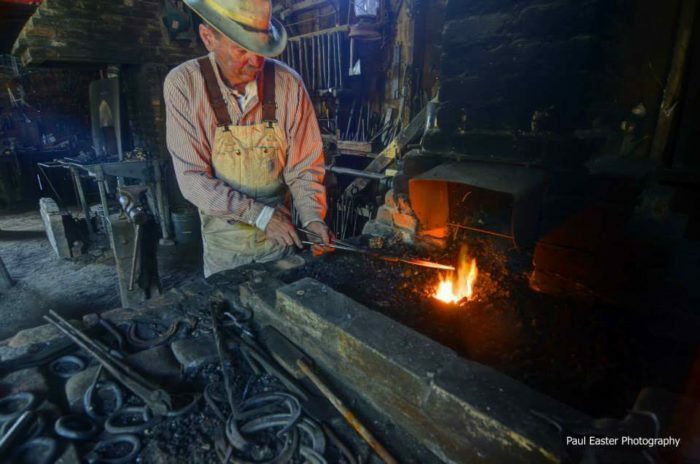 Read about some fascinating places in Experience The Old West In Arizona With These 18 Amazing Places.